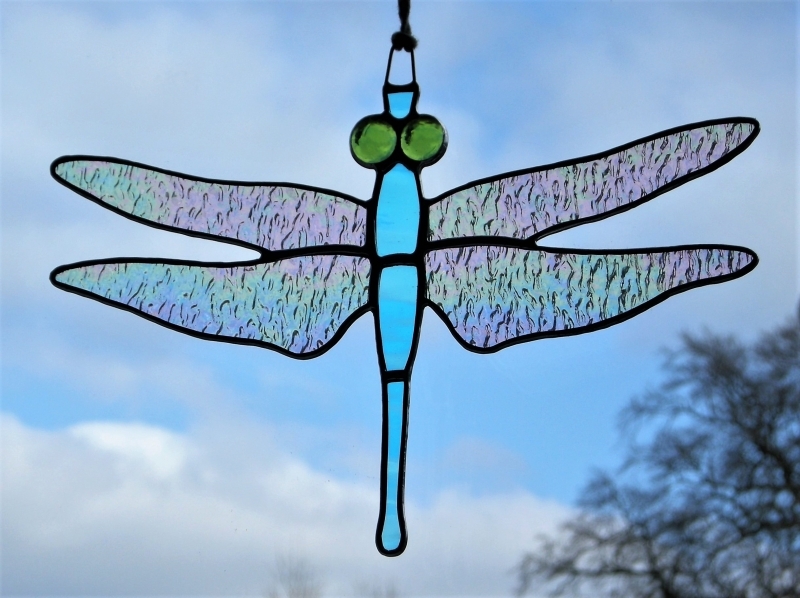 SOLD.....Beautiful stained glass hanging ornament "Dragonfly" has been handcrafted and designed by myself using the traditional copper foiling method (no stick on lead or glass film). 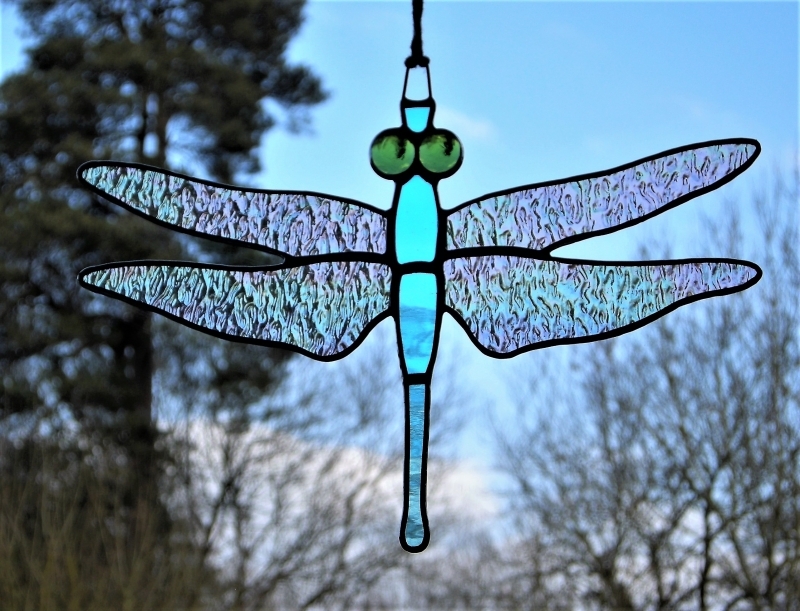 The design is effective with a variety of different glass colours and textures of the glass used, in this case (Sky Blue rippling water glass slightly seeded and Clear Iridescent Wings). 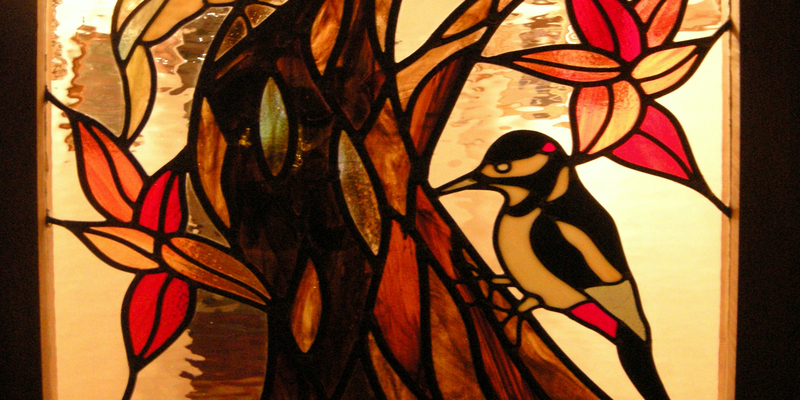 Glass globs are used for the eyes (green), the soldering is then cleaned and polished to give a silver finishing effect. 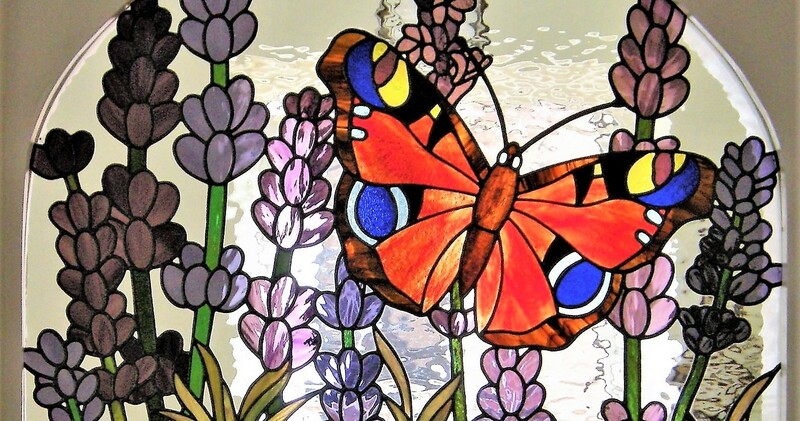 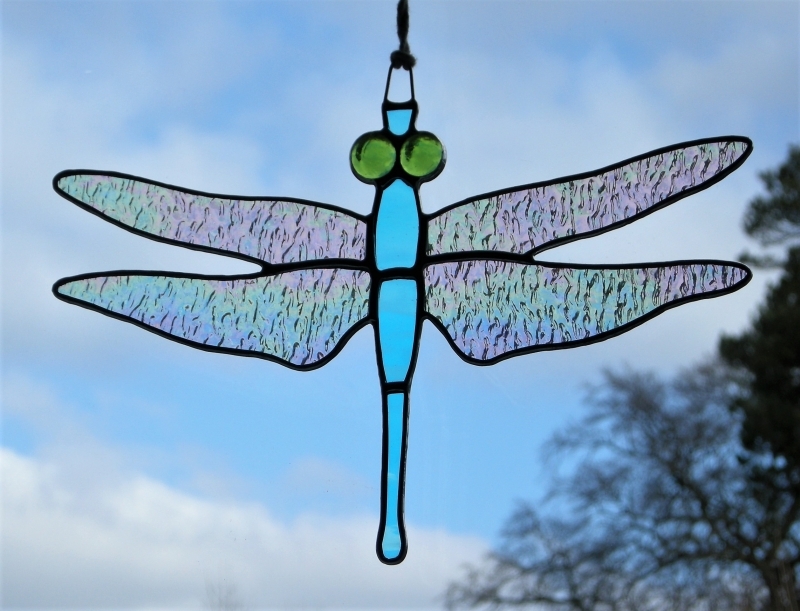 The Iridescent glass (used for the wings) displays a spectrum of colours that shimmer and change due to the interference and scattering as the observer(s) position changes. 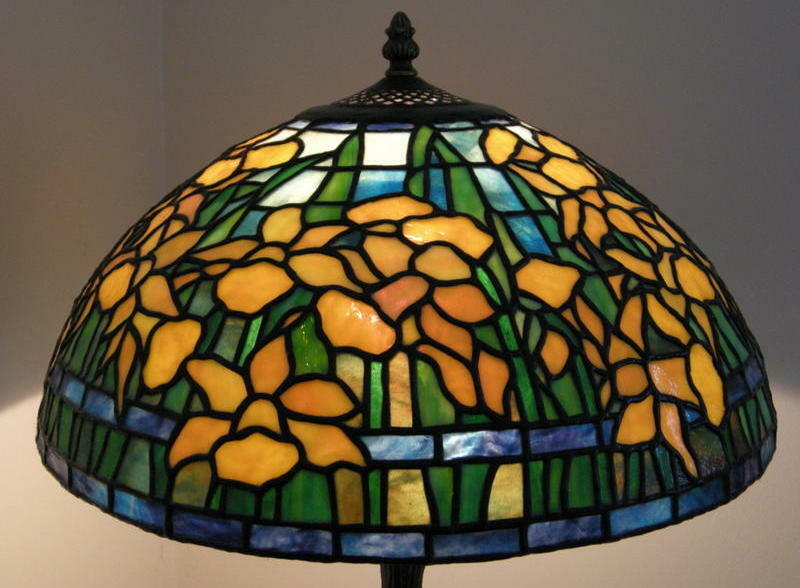 I have taken 6 pictures at different times of the day and positions to show the difference in the reflections of the glass against natural light. 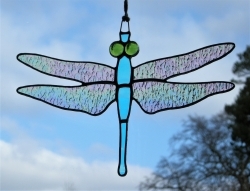 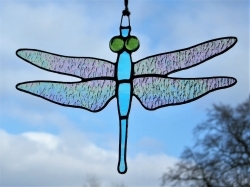 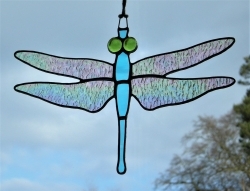 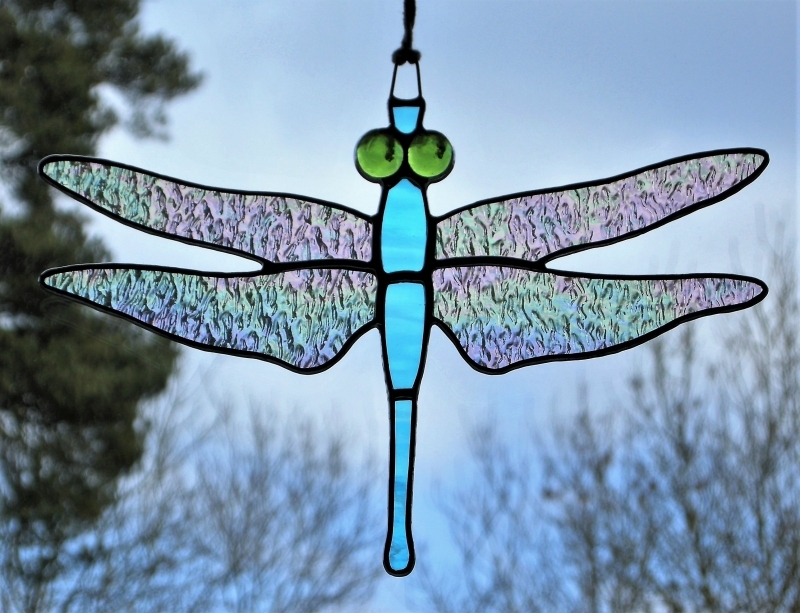 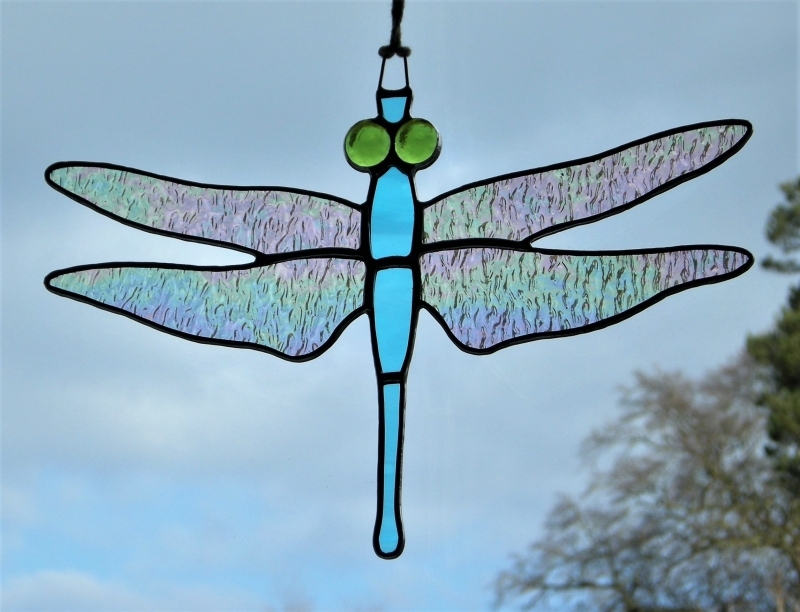 This beautiful stained glass ornament "Dragonfly"will make lovely gifts for all occasions or even for yourself.This "Dragonfly" measures approximately 17cm in height with a wing span of 26cm. 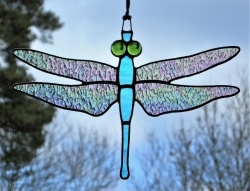 A loop have been soldered on the top of the Dragonfly ready for hanging using strong string/thread to your desired length (not included).